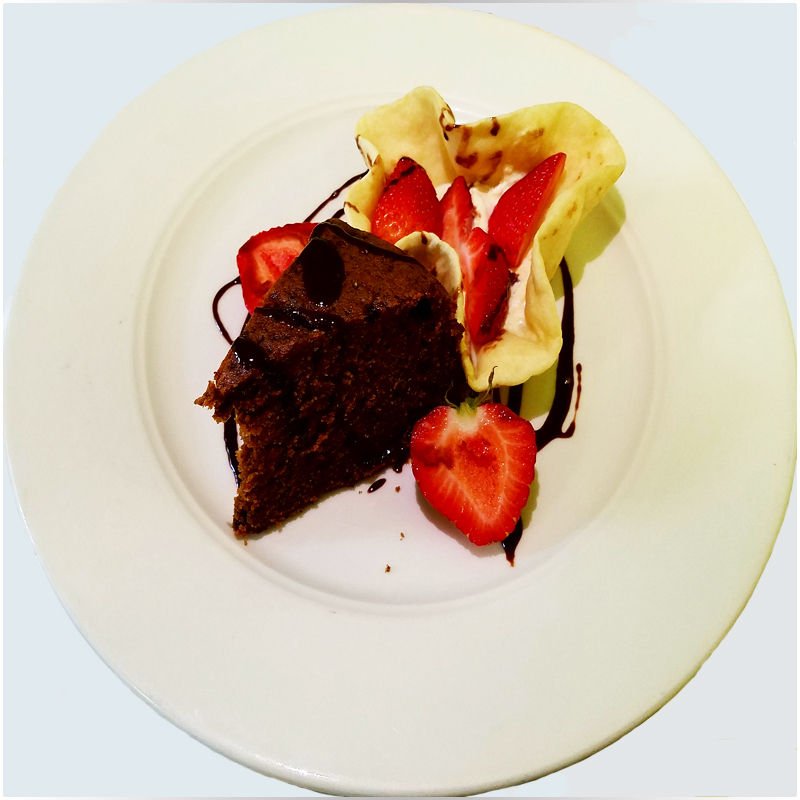 Our Jamaican Rum Cake is Dark, rich, sweet, and moreish. This Jamaican Rum cake is melt in the mouth soft, made from our unique home made recipes it is one not to disappoint. Served with strawberries, and a dark chocolate sauce. Sweet, soft, moist and moreish.